Ripon is a committed, dedicated and experienced barrister. Her practical approach and down to earth manner have made her very popular with both solicitors and clients. Ripon regularly appears before the Immigration and Asylum Tribunal, the Upper Tribunal, Administrative Court and the Court of Appeal. Ripon practices in all areas of asylum, immigration and European law. 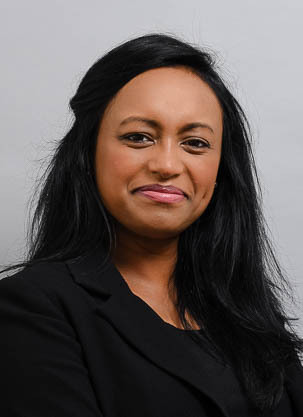 In immigration, she has particular experience in cases outside the immigration rules involving policy considerations (all types of “Legacy” cases), as well as regular instructions in Article 3, Article 8 ECHR and deportation appeals. She has particular experience in all kinds of judicial review matters, including unlawful detention, deportation appeals and deprivation of Indefinite Leave to Remain. Prior to qualifying as a barrister Ripon worked in a solicitors firm, specializing in all types of immigration law. She makes great efforts to assist her solicitors from the application through to the appellate process. Ripon’s oral and written skills have led to success outcomes at all levels. Ripon is noted for her work on the “legacy” cases, on which the meaning of “legitimate expectation” was further expanded on. Ripon has also worked extensively on trafficking cases, as well as European cases. She is also widely instructed on fresh claims, entry clearance matters, all PBS cases and children cases. “She vigorously and robustly defends her clients and thinks very well on her feet”.